Hopefully you have already registered your business on Google My Business. 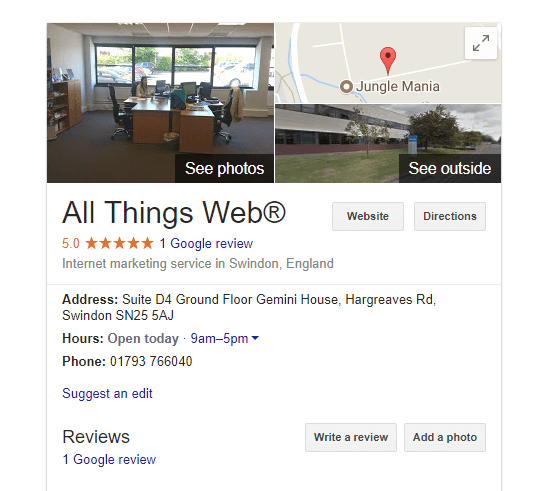 If not then before you carry on reading this blog post you need to ensure you are registered with Google My Business (GMB). Why not contact our team if you need help with this? 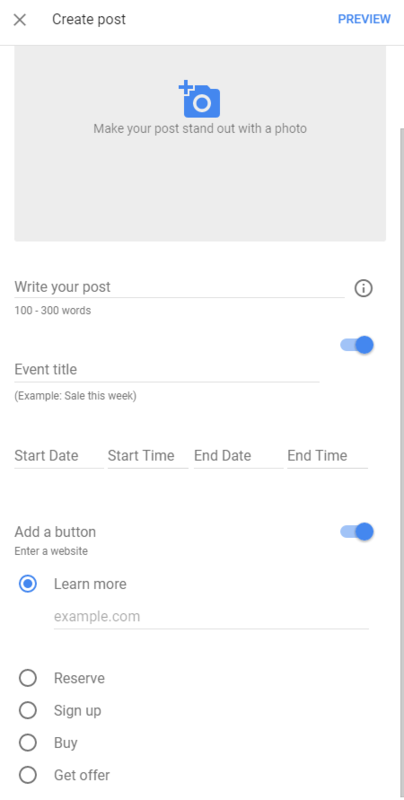 If you already are then you may have noticed over the past few months that Google has slowly been rolling out a new feature for GMB for small business users that has caught our attention, and that is a new posts feature. 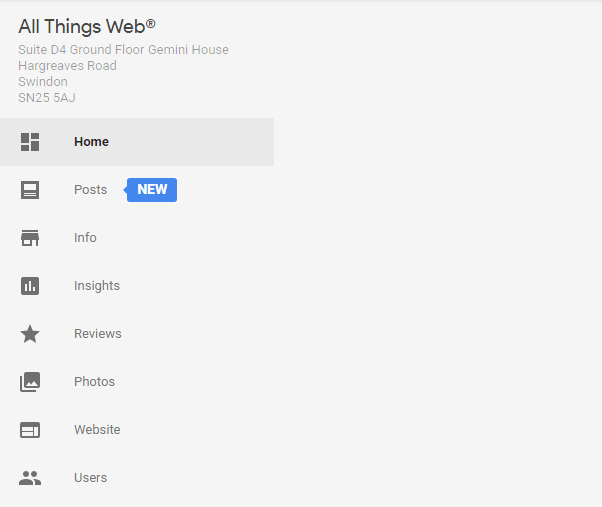 When you log in to your GMB account (and select manage your location if you have multiple offices or premises) you will reach GMB homepage As you can see from the above screenshot, on the left-hand side you have the new posts option. What does this do and how does it benefit your business? When you choose to write a post you are given multiple options which include uploading an image, writing text (up to 300 words), or adding an event. In addition to this, GMB also gives you the option to add call to action buttons which will help drive further traffic to your website. Once posted this should then appear on your local business or maps listing in the Google search results. I use the word ‘should’ as when I tried to test the new feature for the purposes of this blog post I was presented with an internal error! Not quite a perfect feature yet then, but one to be aware of. Share regular promotions and offers to encourage more business. This would work particularly well for the hospitality sector where people regularly search for businesses for location purposes and could pick up on this offer at the same time. Promote events. Sometimes special events can be missed so this feature is another way to promote them to a local audience. Highlight your most popular, bestselling or new products. It is important to know that Google Posts are time sensitive and will expire after seven days. Businesses have reported receiving a notification on the sixth day warning that the post will expire. Therefore don’t post anything that doesn’t require immediate promotion or for a long period of time. Will this feature be a success, we aren’t sure, but for the purposes of highlighting and promoting products, services and events it could be beneficial and provide another way to help drive traffic to your website. If you need more help with using Google’s free tools like Google My Business, Google Analytics and Google Search Console then give our team a call on 01793 766040.